A bespoke selection of just four houses and five two bedroom apartments within a gated development. These homes are finished to a high specification and most benefit from direct WATER VIEWS over the River Itchen & all come with allocated parking. As well as being conveniently close to local amenities at Priory Marine Court you will also have the option to moor you own boat on the river next to the development. These stunning homes are due for completion Spring 2019 but don't wait and miss out as reservations are already being taken. Subject to the build programme you will have the option to bespoke your new home and upgrade finishes which will truly make your new home your DREAM HOME. Built in under counter oven with 4 ring gas burner hobs, extractor over. House will have integrated appliances in the kitchen to include dishwasher. Flats will have the option to upgrade to this at an additional cost to the buyer. All kitchen, flooring and tiling can be again upgraded at an additional cost to the buyers. Please contact us with any questions regarding this. 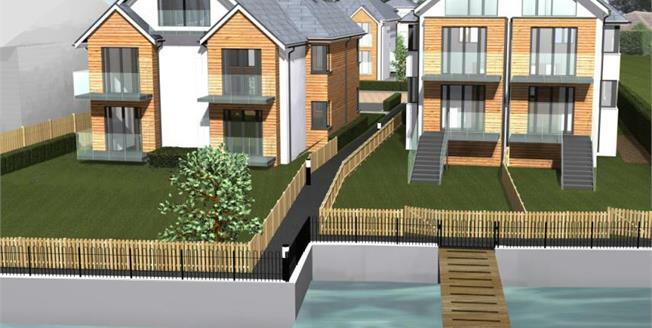 This exclusive gated development at Priory Marine Court sits on the waters edge of the River Itchen. The development is also conveniently close to Riverside Park which is situated just across the Itchen Bridge. It is ideal if you fancy a leisurely stroll or a picnic on the rivers edge or fun with the family at the park & the miniature railway. For those discerning shoppers the development is located approx. 2.5 miles from West Quay Shopping Centre which has an area of 800,000 square feet of retail space and contains around 130 shops, including major retailers such as, John Lewis and Partners, Marks and Spencer, Zara, Schuh, Waterstone's, Hollister Co., Apple, and many more top brand names as well as a selection of Restaurants. Also approx. 3miles away there is Ocean Village which is a mixed-use marina, residential, business and leisure development on the mouth of the River Itchen and facilities include two cinemas, cafes, wine bars and restaurants. The local train station is just a short 7 minute walk away making access into the city or beyond extremely convenient and also has direct line access to London. There are also excellent bus routes from the main St Denys road just a short walk away with links into Southampton & Bitterne. Mooring available subject to availability & rent via external agent. Help to Buy available subject to acceptance to the scheme. The above photo's are taken from the local area.